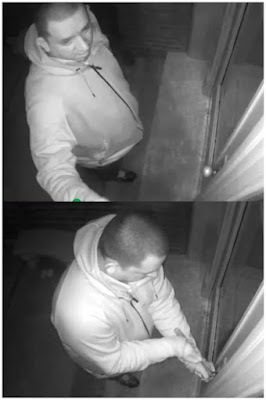 One of CWB’s Lakeview readers sent along these pix of what appears to either be an uninvited late-night door lock repairman or a burglar at work over the weekend. The man seen here was captured on a homeowner’s surveillance system in the 4100 block of North Greenview early Saturday morning, our reader said. This particular break-in failed, we’re told. We just thought you might want to have these pictures handy in case, you know, you need to have any doors "screw drivered" at odd hours. And from Uptown comes a good lesson for renters: Always, always, always ensure that the locks are changed on your apartment before you move in and ensure that the landlord practices proper key control measures. Police last week arrested 30-year-old Martell Orozco at his home in the 4600 block of North Racine after a man allegedly captured Orozco stealing from an apartment after using an old key to access the unit. Soon after Orozco was let go, a tenant in the building began noticing that “various alcohol” including his $50 bottle of tequila had gone missing. The victim set up cameras, and he twice captured footage of Orozco entering his apartment to drink booze and take items from the fridge, according to police. Police said they watched the video and it showed Orozco “entering the apartment with a key and placing a bottle in his pocket." 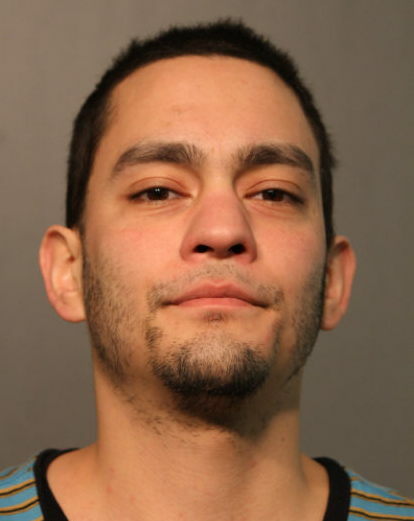 Orozco has been charged with one count of criminal trespass to residence. He’s free on a recognizance bond by standing rule of the court. Burglary reports are down in many areas of the North Side so far this year, with Lincoln Park standing alone as the one neighborhood experiencing a substantial uptick. Here's a comparison of the number of reported burglaries in each community area between January 1 and February 8 of 2017 vs. this year. Original reporting seen nowhere else. Please support our work by contributing to the CWBChicago operating fund. Donate $49 or $5 a month to receive a year’s worth of exclusive reports and services.